Where can I go for information about automatic milking systems? Farmers and service providers in the Australian dairy industry benefit enormously from having access to independent, reliable, accurate and updated information on Automatic Milking Systems (AMS) and precision farming technology. The key to success is to develop and deliver knowledge that meets industry needs. In order for this to happen effective collaboration is required between major stakeholders such as industry bodies, researchers, commercial companies, farmers and advisors. Dairy Australia’s website has a section covering an overview of emerging technologies used to improve measurement, monitoring, reporting, labour efficiency and management functions on farm. ‘Dairy shed technologies’ includes a factsheet and FAQ on automatic milking systems. 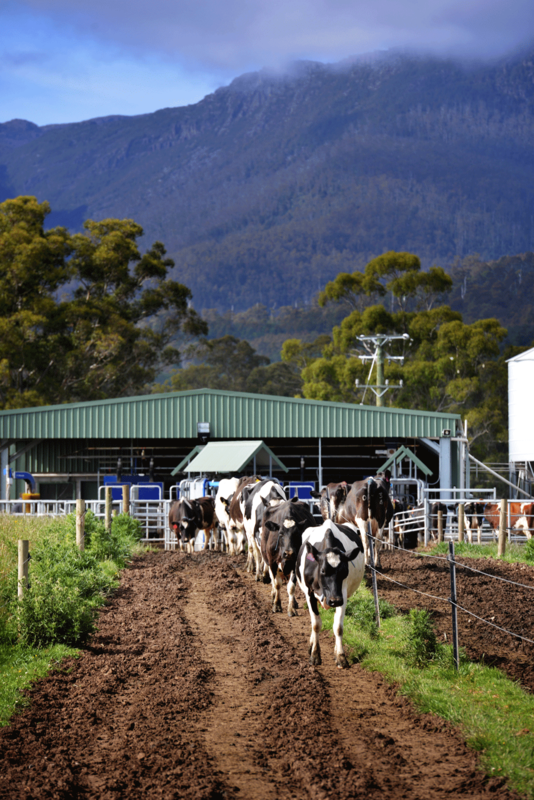 FutureDairy was a R&D program established in 2004 which successfully supported Australian dairy farmers by addressing the challenges they were likely to face over the next 20 years. It was funded through different stages by Dairy Australia, NSW Department of Primary Industries, DeLaval and The University of Sydney. The scientific research and practical experience and learnings captured while working along with commercial farmers was compiled into a series of technical publications on automatic milking, including management guidelines, case studies and factsheets. The communication strategy of the NSW DPI Dairy for AMS, now forms part of Milking Edge, and offers dairy farmers interested in or considering the adoption of precision farming and automatic milking systems access to quality information and support. This will help them make the best decisions for their farm and management style. The NSW DPI Dairy Facebook page provides the latest news and updates about precision dairy farming, including links to activities of interest. Join more than 1,100 people from all around the world following the page! The NSW DPI Dairy AMS Newsletter is a quarterly, focused online publication, targeting robotic milking, providing readers with regular updates on ‘Milking Edge’. Our readers are time poor, but greatly value the information provided in this newsletter that comes out in January, April, July and October. Increasing the number of subscribers will in turn enhance its reach, quality and exposure, which will help us improve quality and remain sustainable in the long term. Feel free to subscribe to the newsletter or access previous editions. The NSW DPI Dairy website contains the latest information about projects (such as the AMS KPI Project and Milking Edge), copies of the past e-newsletters, videos and audios (including podcasts, videos and webinars with speakers from all around the world) as well as related websites of interest. Make sure you have a look at it as it contains a lot of useful information! Milking Edge will also have a strong industry engagement component, by participating, facilitating and supporting activities such as conferences, discussion groups and field days. Are you interested in robotic milking and want to know more? There is a dedicated team here to help you. Get in touch! Also, let us know if you are interested in having a field day about robotic milking in your region! For more information please contact Dr Nicolas Lyons (nicolas.lyons@dpi.nsw.gov.au / 0401 650 073).